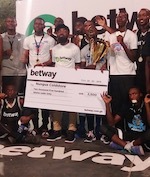 Accra Technical University (ATU) Male Basketball contingent in the 2019 GHATUSA -Ghana Technical Universities Sports Associations- Games have made winning starts to the biannual games. The competition was previously known as GHAPSA-Ghana Polytechnics Sports Association- Games and has been dominated by ATU. In this year's competition, ATU has taken over from 2017 host Bolgatanga Polytechnic and had a winning cheer from the home fans after grabbing a 31-28 win over Kumasi Technical University in the opening game of the event. The host didn't convince much and Kumasi Technical pushed ATU all the way but couldn't get over the three point margin. ATU will book a spot in the semifinals with an expected win over Bolgantanga on Monday, February 5. 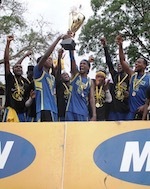 Takoradi Technical University (TTU) made a big statement about its title winning intent in both Male and Female Divisions. TTU recorded a 40-32 win over Koforidua Technical University in the Men's Division while its female side demolished Kumasi Technical with a 41-3 result. Sunyani Technical University (STU), Tamale Technical University (TaTU) and Cape-Coast Technical University (CCTU) play for the first time in this year's competition on Monday. TaTU plays STU at 9:00 GMT and CCTU takes on Koforidua Technical University at 15:00 GMT. The 2019 GHATUSA Games end on Sunday, February 10.